More than 300 Irish actors, writers and directors have signed a letter to Dublin’s Abbey Theatre, accusing its current leadership team of wreaking “devastation among our ranks”. The letter, leaked to the Irish Times newspaper and signed by figures including Ciaran Hinds and Sinead Cusack, claims current emphasis on co-productions has led to fewer opportunities and poorer employment conditions for Irish creatives. It adds that working practices initiated by Neil Murray and Graham McLaren since the pair were appointed co-directors of the Abbey Theatre in early 2017 have resulted in less employment and lower wages. Sent to leading figures in the Arts Council and on the Abbey’s board, the hard-hitting letter says that Murray and McLaren’s policies have provoked a crisis within Irish theatre and “the freelance theatre community, in particular, has been cast adrift”. Pointing to the absence of any “Ireland-based actor” on the Abbey’s twin stages between September 8, 2018, and February 23, 2019, the letter complains that the theatre’s commitment to co-producing has led to a 54% decline in actors directly employed by the company. The letter also points to damaging financial implications of current working practices at the theatre. It highlights that the Abbey receives the “lion’s share of available funding”, including €6.8 million [£6.1 million] in 2018, with an additional €200,000 [£179,550] touring grant. “With the Abbey now co-producing with the major independents, while receiving 10.25% of the overall Arts Council budget, it now also benefits from the production budgets of some of the better-funded independent companies. A clear case of double funding,” it states. The co-production model has also led, it claims, to actors being employed by independent companies rather than directly by the Abbey Theatre meaning “actors, directors and designers are being paid less when working at the Abbey than before and for shorter runs”. The letters claims this reduction in pay can be as much as 25%. The signatories – who include actor Lorcan Cranitch, director Peter Sheridan, designer Joe Vanek and playwrights Jimmy Murphy and Owen McCafferty – have called for more in-house productions and better employment terms and conditions. It echoes a similar letter sent by Welsh talent to National Theatre Wales, which accused the venue of “ridding itself of a theatrical identity and even its nationality”. 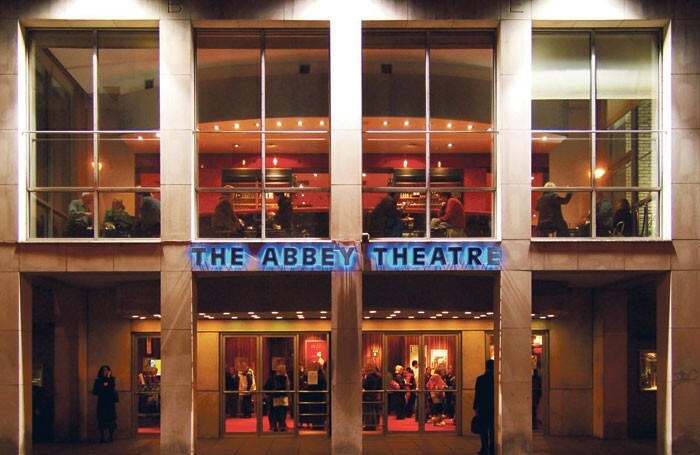 In response, the Abbey Theatre said that current practices had overturned a €1.4 million (£1.2 million) deficit at the beginning of 2017 and “led to modest surpluses and financial stability”.